Deep below the ancient volcanoes scattered around the Philippines sits a simmering stockpile of intense heat that officials hope will help revive the nation's sputtering green energy machine. 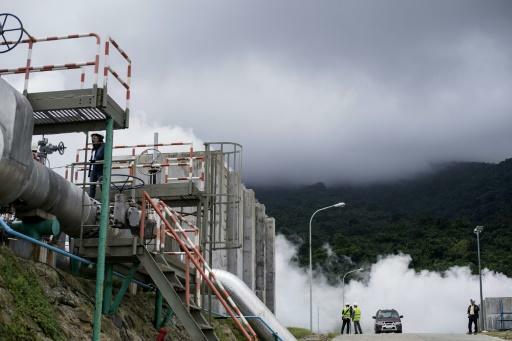 The Philippines -- thanks to its spot in the Ring of Fire zone of Pacific volcanoes -- has long been one of the world's top producers of geothermal power, but years of neglect have sent the industry sliding. Now a surge of new exploration efforts are underway in a nation that has some of the world's largest untapped sources of volcanic heat, but which relies on coal for half its electricity. "It's an exciting development," Enrique Nunez, the country director for Conservation International, told AFP. "In an environment where coal is king, this is good stuff". One of the nation's freshly upgraded plants, Maibarara, puffs out white steam from shining metal stacks on a jungle-covered hillside about an hour south of Manila. High-temperature water vapour from the Earth's red-hot underbelly is piped to the surface where it makes power-producing turbines spin. "There is no smoke," said facility manager Paul Elmer Morala. "Only a bit of noise, but our neighbours don't complain." The Philippines was for years the world's number two, behind the United States, in drilling deep to tap the scorching hot steam. But as the nation's economy has boomed in recent decades, it has opted to feed its needs with cheaper and quicker-to-develop plants that burn fossil fuels. 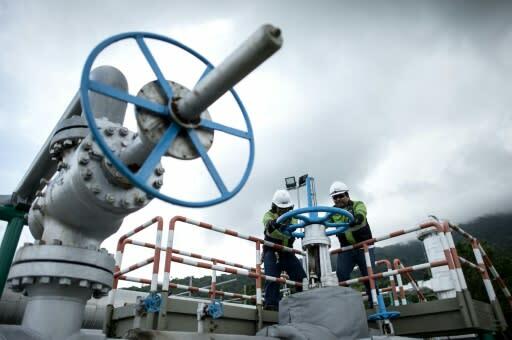 That demotion was years in the making for a country which had an initial rush of geothermal exploration in the 1970s and 1980s in response to the world's first global oil crisis. "Of course the target is to increase the existing capacity," Ariel Fronda, head of the renewables division of the Philippine energy ministry told AFP. "There is a high degree of interest in renewables in general... Energy has suddenly become an attractive business," he added. 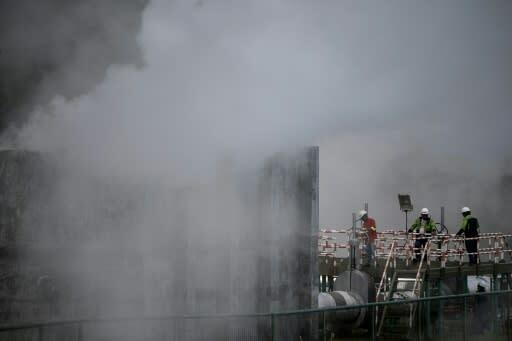 The Philippines' seven geothermal fields now supply about 12 percent of the nation's energy, with a long-term plan to nearly double capacity by 2040. "Geothermal is that risky," said Fronda, with the government requiring at least two wells per private exploration project in order to more accurately estimate the yield of a site. The effort to stoke up the nation's geothermal engine largely pre-dates the arrival of President Rodrigo Duterte. "The Philippines can serve as a catalyst for other developing nations' interest in geothermal, particularly if its newest... programmes prove successful," he added.